Bret McCann says that having murder charges laid in connection with the disappearance of his parents is "a significant step" toward learning what befell the elderly St. Albert, Alta., couple nearly two years ago. RCMP have charged Travis Vader with two counts of first-degree murder in the deaths of Lyle and Marie McCann, who disappeared while on a trip in 2010 and whose bodies have never been found. Count 1: On or about the 3rd day of July, 2010, Travis Vader did commit first degree murder on Lyle McCann contrary to section 235 (1) of the Criminal Code of Canada. 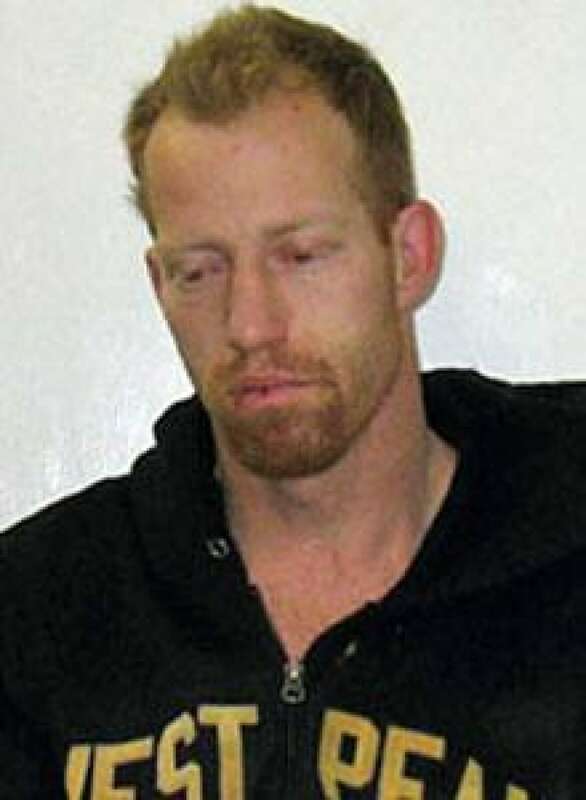 Count 2: On or about the 3rd day of July, 2010, Travis Vader did commit first degree murder on Marie McCann contrary to section 235 (1) of the Criminal Code of Canada. The document is filed at the courthouse in Hinton, Alta. There is no mention of anyone other than Vader on the charge sheet. Vader, who has been a suspect in the deaths since the McCanns' disappearance, is expected to appear in court on May 15. Their son called the development "exhilarating" when he spoke to reporters Monday afternoon. "This is the perpetrator side of it," Bret McCann added. "But we still don't know where our parents are." He said the family has stopped searching for the couple, but pleaded for anyone with information that could help find them to come forward. A $60,000 reward in the case still stands, he said. Lyle, 78, and Marie, 77, were last seen alive on July 3, 2010, and were reported missing the same month. The RCMP believes the couple was killed the day they were seen fuelling their motorhome in their home town of St. Albert, just north of Edmonton, before a trip to British Columbia. Two days later, the couple's burned-out motorhome was found in a backwoods campground area near Edson, Alta. An SUV they had been towing was discovered a few days later in heavy bush several kilometres away. Vader's lawyer, Daniel Mol, said the 40-year-old accused "is relieved to finally have an opportunity to face these accusations." Vader was already in custody in Edmonton awaiting trial on outstanding charges related to alleged stolen property, driving and weapons offences unrelated to the disappearance of the McCanns. "Understandably, the public has many questions about what happened to the McCanns," said RCMP Sgt. Shawn LeMay. "Those questions will be answered in court." The RCMP offered no comment on the case because it is going through the courts.